Tonight I proudly made my first batch of Pesto! I was so surprised at how easy AND delicious it turned out to be. 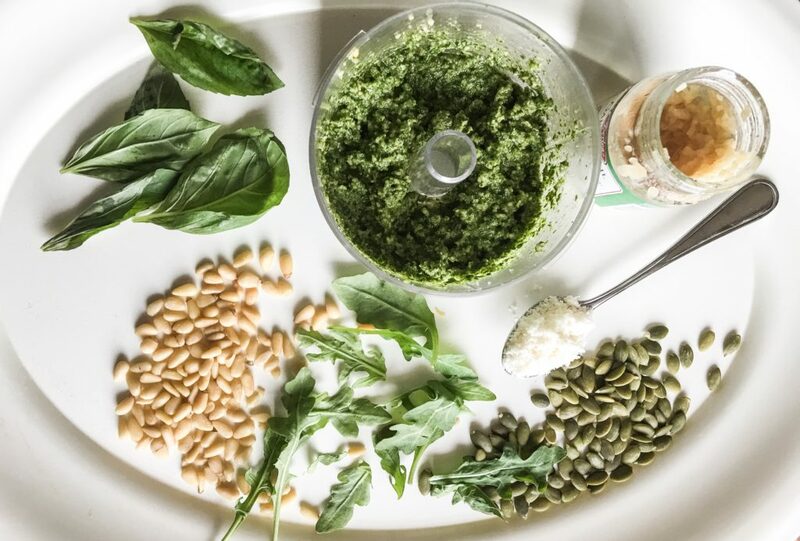 I was eager to make a batch of pesto because one of my favourite lunch spots in Toronto, XO Bisous makes an amazing Harvest Salad and the pesto dressing is what makes it SO good! I figured if pesto works so well with this salad, it should totally work with other combinations. BUT when I went to the grocery store to pick out a pesto I noticed the sodium levels were SO high. I thought what the heck I can do this myself. A couple hours later I had a beautiful easy homemade pesto recipe that I will absolutely be making again. This recipe is a must try I promise you won’t be disappointed! Start by blending the pine nuts to break them down. Then continuously add bits of ingredients. Add oil, cheese, basil, garlic blend/pulse, more cheese, oil, basil, garlic. Blend/pulse. Add salt and pepper, more oil. And so on until you have used all of your ingredients. 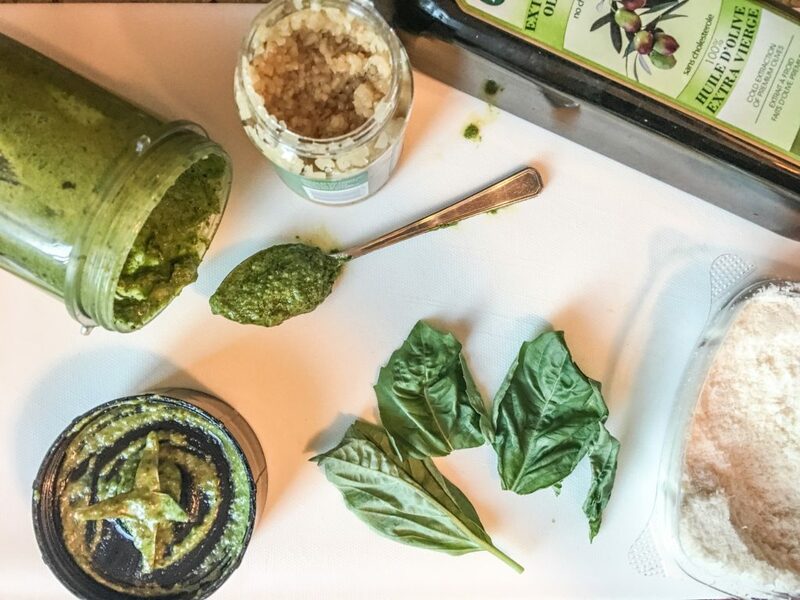 The olive oil is really key to giving the pesto a smooth texture so adding it slowly will help you find the perfect consistency. And that is it people! See what I mean? Super easy. I used it to top off a simple grilled chicken and mixed green salad. 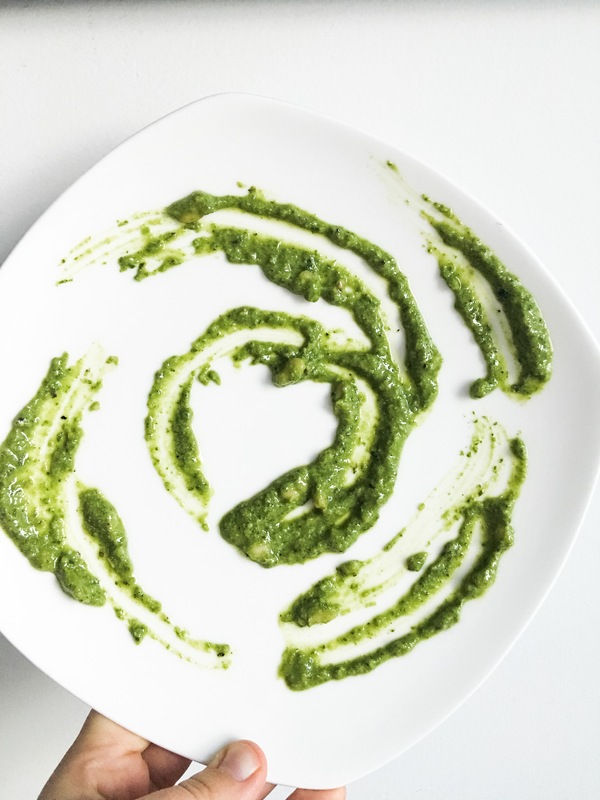 But really the options are endless with pesto and I will definitely be posting more recipes with it as well as trying out experiments with different ingredients! I made a second version that includes pumpkin seeds and arugula! You can either add pumpkin seeds to the original recipe in addition to pine nuts or use them as a substitute. They add great flavour and on the plus side are cheaper than pine nuts – so its a great alternative. 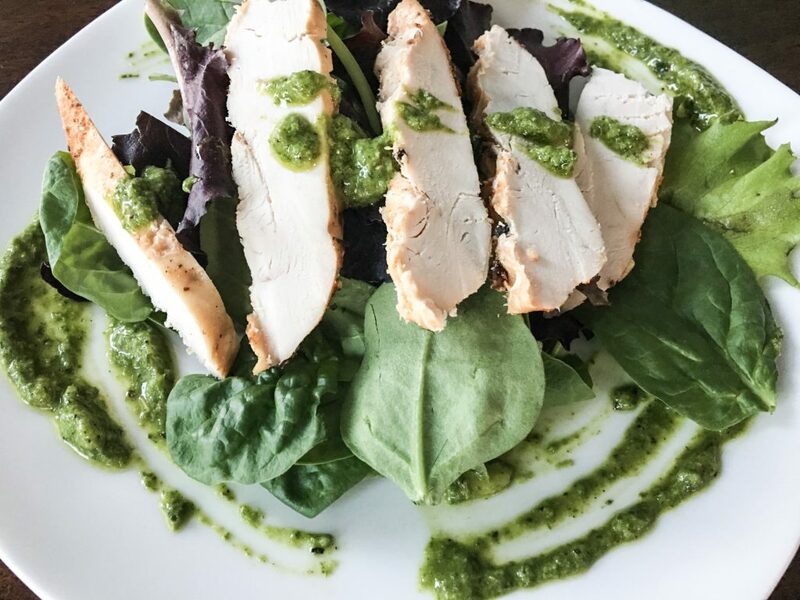 Adding arugula adds another dimension of flavour plus gives you another way to add some healthy greens to your meals! How to make the perfect tomato sauce?